The Inn began in the early 1800’s as the “Suspension Bridge House”, named as such because of its proximity to the new suspension bridge which was constructed at or about that time over the Esopus Creek. 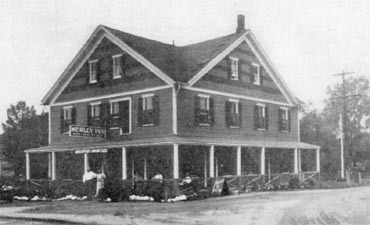 Around the turn of the century it was renamed the Hurley Hotel, featuring a tavern and a one chair barber shop. 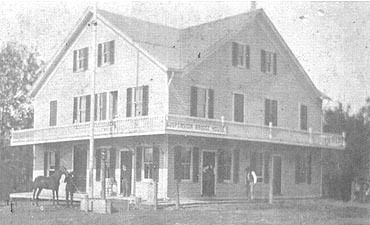 Eventually nicknamed “The Hurley Hilton”, the original barber’s pole can be seen near the bar. 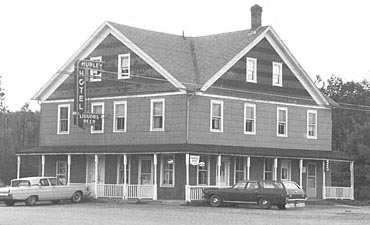 It stayed as such until the early 1970’s when it was renamed the Hurley Mountain Inn. Since then, there have been eight additions to the original building simply because of demand. Over the years the Inn has evolved into a place that is impossible to copy. In fact, Hollywood scoured the United States for just the right spot to feature in the movie “Tootsie” starring Dustin Hoffman, Bill Murray, Charles Durning and Jessica Lange. Of course, they picked the Hurley Mountain Inn. People still come here today to see where Dustin Hoffman performed his award-winning role. Our annual St. Patrick’s Day celebration is the largest in New York and probably the United States. Latest figure, we served over 12,000 pounds of corned beef in just 6 days! (Not to mention 5,000 lbs. of cabbage, 4,500 lbs. of potatoes and 4,000 lbs of carrots!). Year after year, people come from all over to celebrate and feast on our famous corned beef and cabbage. 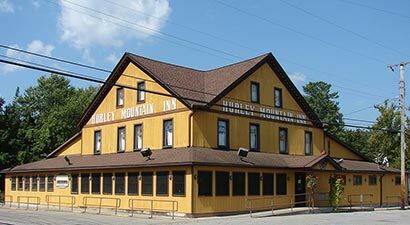 The Hurley Mountain Inn is a family owned and operated restaurant which takes a level of pride and care in serving you that cannot possibly be achieved by absentee owners or distant corporations. The entire staff welcomes you. We would like you to feel as warm and comfortable as the atmosphere around you. In addition to serving good food and drinks, we provide complete NFL, MLB, NBA, and other top sports coverage, coast to coast. The Hurley Mountain Inn is the perfect place to hold your next party! Birthday, Anniversary, Team Parties...no matter what the occasion, we can plan a menu to meet all of your needs. We have a game room for the kids and fun for everyone. Plus, we do all the work! Let us help you plan your next get-together. Gift certificates are also available and are perfect for any occasion!